There was once a time where most smartphones had hardware keyboards. There were BlackBerry and Palm Treo devices that were an absolute joy to type on. Apple's iPhone wasn't the first smartphone to forgo a physical keyboard entirely, but it is responsible for popularizing it. As a result, Palm and BlackBerry lost almost all of their marketshare, ultimately becoming a footnote in smartphone history. And now, most smartphones are touchscreen-only for typing. 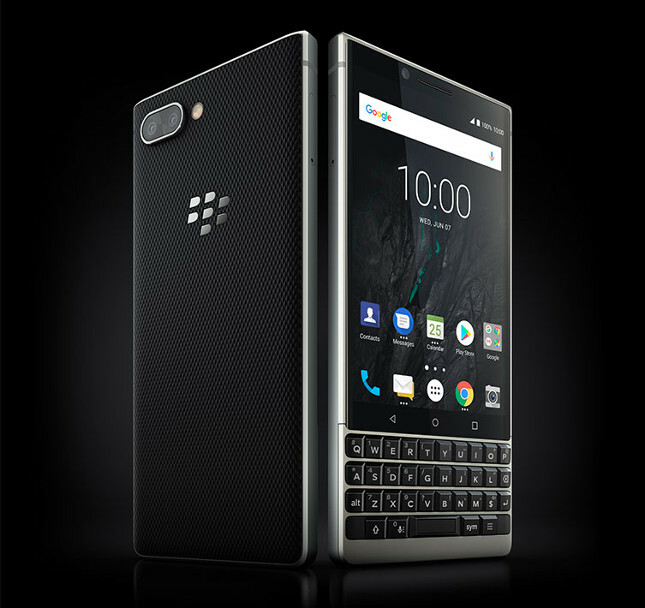 While BlackBerry no longer makes smartphones, it does license its name to a company called TCL which makes Android devices that carry the branding -- and sometimes, a physical keyboard. It isn't just slapping the BlackBerry name on a random low-quality Android phone, however. Actually, these TCL devices have been fairly well received thanks to an adherence to traditional BlackBerry designs. Today, TCL unveils its latest such smartphone, called "KEY2," and it looks quite nice. In fact, the company says it is "the most secure Android smartphone." A bold claim! The phone-maker also says, "From a hardened operating system to BlackBerry’s proprietary technique for establishing a hardware root of trust adding security keys to the processor, the BlackBerry KEY2 is the most secure Android smartphone. It comes preloaded with DTEK by BlackBerry application that removes the complexity of security by providing an 'at a glance' security meter. This shows the overall security rating of your device, and provides a simple way to view how apps may be accessing your data and manage app permissions. So now you can easily see and manage how your downloaded apps access your personal mobile data such as your location, access to your camera, microphone and more, with active controls over your mobile privacy and safety." TCL shares the following significant specifications. Because the keyboard takes up much of the face, the screen is smaller than most other Android smartphones at a mere 4.5 inches. The resolution is a unique 1620 x 1080 with 3:2 aspect ratio, and while some apps will look fine, some others may not adapt as well. After all, developers aren't paying much attention to the experience on such a size/resolution. For the most part, it should look great with a respectable 433 PPI. The BlackBerry KEY2 will go on sale later this month for a reasonable $649 -- an exact date is not yet known, though. While it will definitely be sold unlocked in the USA, it may be sold directly from some carriers as well.